Communication systems, strategies and tools that replace or supplement natural speech are known as augmentative and alternative communication (AAC). These tools support a person who has difficulties communicating. How do we decide who needs AAC? When should AAC be started? How can we best determine if the person needs, or would benefit, from alternative tools and strategies to support communication? There are a wide range of reasons, disorders, and disabilities that can result in a person not being able to speak. They may have a developmental disability or acquired disorder that has affected his or her ability to speak. Or they may have lost the ability to speak temporarily due to stress, anxiety, or even a medical emergency. When can we start using AAC? 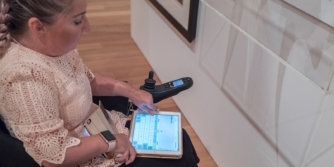 Many people who cannot speak may benefit from some form of AAC to support communication. But when do we start? When is the right time? First and most importantly, there are no age prerequisites to using AAC. You cannot be too young or too old to use AAC. Starting AAC can happen at any age. And once someone has started with AAC, they may not have to use their system forever or all the time. Just because a person has some spoken communication in the form of words or vocalizations, it does not mean that they would not benefit from AAC. Providing an AAC system to a person with limited speech will give them more words and language, and the possibility of communicating far more than they can with speech alone. Assessing for AAC - Which AAC system should be used? In your AAC assessment process, you may hear that certain “prerequisite skills” are needed before AAC can be started. This idea was state-of-the-art in the 1980’s when ASHA first recognized AAC as an area of practice, but research has since shown that it is not the case. In fact, anyone who cannot use speech to meet his or her communication needs can benefit from some form of AAC. For example, many people with a developmental disability that has impacted their language development benefit from others using AAC first for receptive input, long before the person can use it independently. Communication is a human right that should be available to all. See the reference and links section at the end of this article for information about the lack of support for the prerequisite skills requirement. Who can help with AAC? Speech-Language Pathologists/Therapists, generally, should have received training in the area of AAC. But not all “Speechies” have had the same training or experience using AAC. Similarly in schools and hospitals, other support staff (such as teachers, other therapists, nurses, or social workers) will have had different experience levels with people who use AAC. So much knowledge is gained when you work in the area of AAC, so if you need support with AAC, always seek a professional who has worked in the field of AAC. You can also go online. There are many many supportive communities, with experienced families and professionals, all offering advice and support. Our Facebook communities are: AssistiveWare's Family members AAC community, and AssistiveWare's Teachers and therapists AAC community. What AAC do we need? Would the potential AAC user prefer or benefit from an Unaided forms of AAC, such as gestures, facial expression or sign language? Or would they benefit from an Aided form of AAC such as choice cards, symbol boards, or high-tech tools (eg. Speech generating devices, AAC app on an iPad, etc.)? 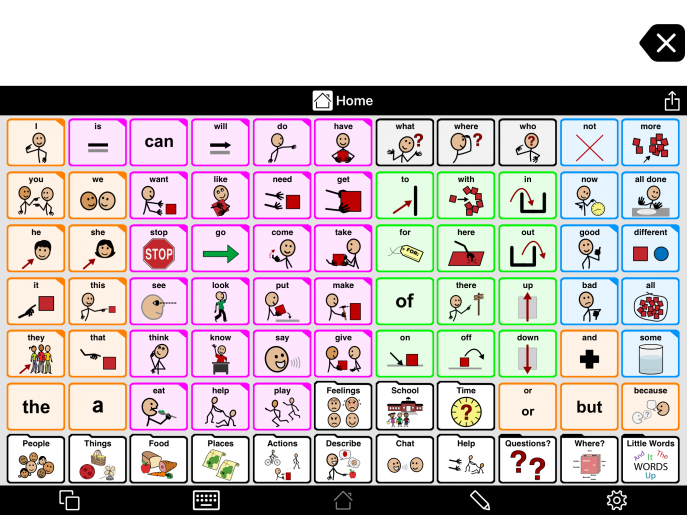 A potential AAC user can also use a symbol-based AAC system or a text-based AAC system. An AAC system may be a text-based system with a keyboard. This is generally for a person who cannot speak, but has developed or retained effective literacy skills. 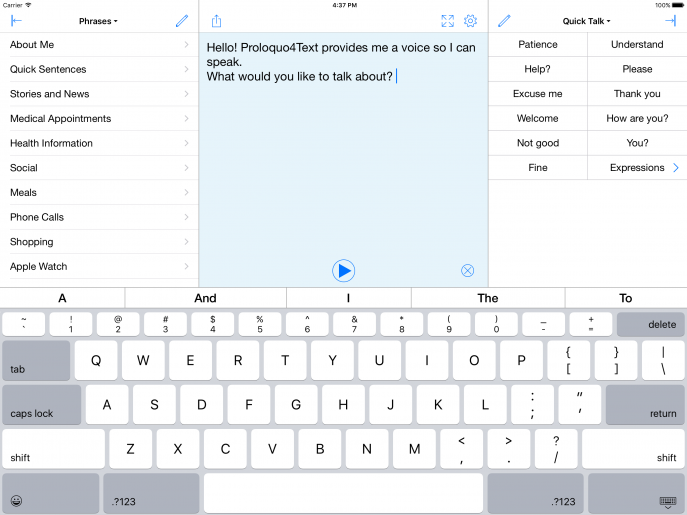 Proloquo4Text, AssistiveWare's text-based AAC app. Many people who cannot speak may not have yet developed literacy skills. In this case, we provide symbol-based AAC that uses photos, pictures or symbols. AAC will benefit any person who cannot communicate effectively using verbal speech alone. Is the person able to speak? Is speech able to be understood by others? Is the person experiencing frustration when not understood by others? Does the person have many ideas that they cannot convey with speech? Are there variations or fluctuations in the person’s ability to use speech effectively? What other ways do they have to communicate? What other tools do they have to learn to request, comment, express opinions, ask questions, share stories and experiences, and have conversations? Does the person struggle with receptive language? Is their language development still emerging? Could a model of visual communication support the person’s receptive language development? Consider these questions. Decide how AAC could be beneficial. Now make positive steps to support the implementation of AAC. We will learn many things about communication and AAC during this journey. There are many steps and paths to take. Each can lead to successful communication for a person with little or no speech. If you have decided you need symbol-based AAC, your first step may be the Symbol based AAC page. 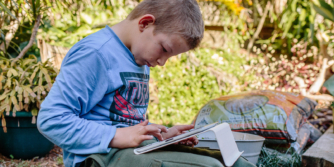 If you have decided you need text-based AAC, read more here. Why "Prove it with Low Tech First" Doesn't Work, Ahern, Kate (2014). AAC: Don’t Demand Prerequisite Skills, Farrall, Jane. (2015). The Myth of Augmentative and Alternative Communication (AAC) Pre-Requisite Skills, LoStracco, Heidi (2014). Should I try text-based AAC? What is text-based AAC? Could it be helpful for you or someone you support? 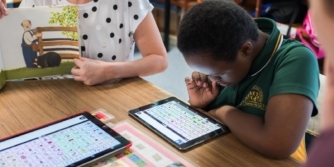 How can you choose the right text-based AAC system?